Transylvania is an area steeped in mystery and legend. It’s difficult to mention it without conjuring up images of blood-thirsty vampires and dark, gloomy castles. 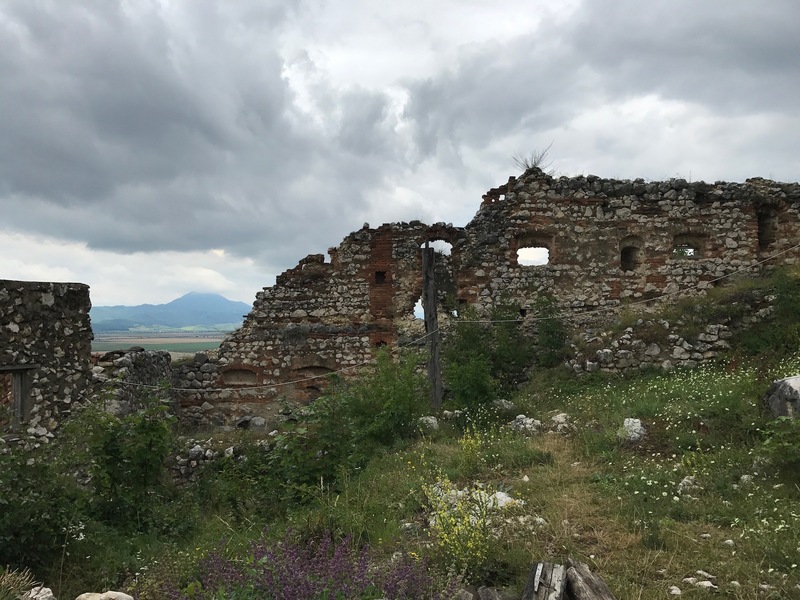 We planned to embrace the myths and delve into Dracula’s homeland – after all, when in Rom…ania. 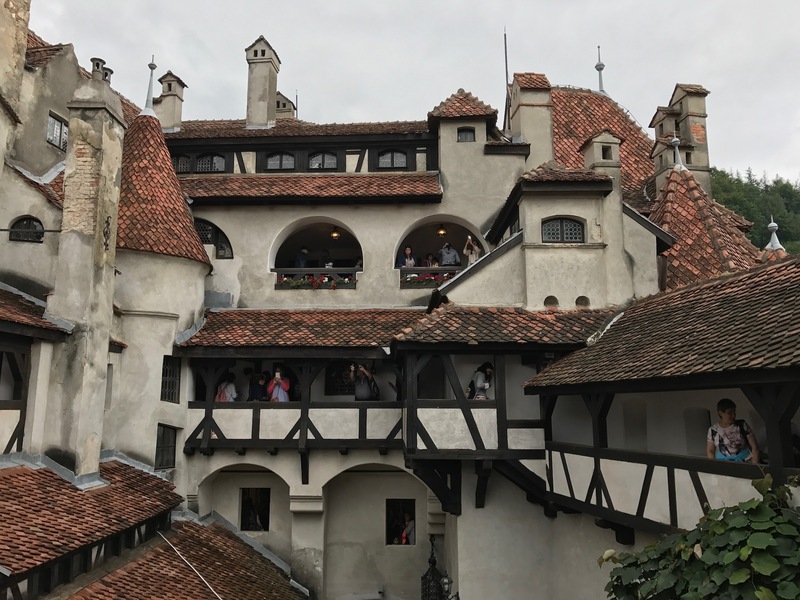 In addition to Bran Castle, we visited a hilltop fortress and a luxurious, fairy-tale summer home – and they could not have been more different. 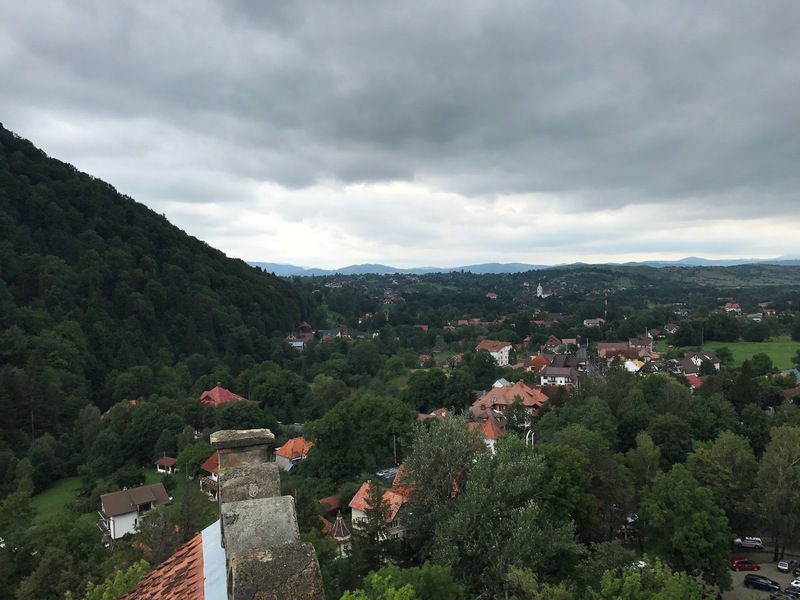 The weather was chilly and rainy when we arrived in Brasov, but we didn’t let it dampen our spirits – indeed, it seemed almost perfect for exploring vampire territory. 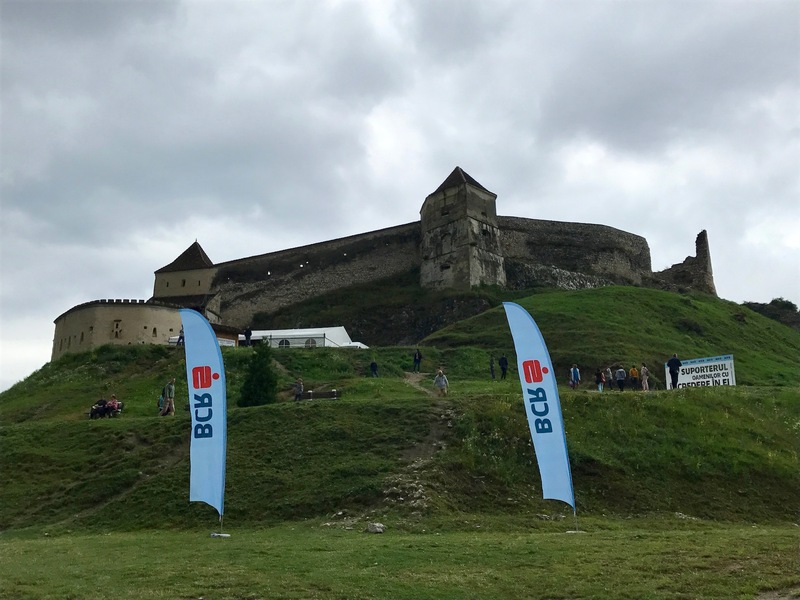 We headed south to the quaint town of Bran, site of “Dracula’s castle,” expecting slightly better weather and fewer crowds. Silly, silly us! While the rain stayed away, the crowds did not. The building is more of a hulking fortress than beautiful castle, and it seems to hide behind large trees and deep shadows. We shuffled our way up the steep path, through narrow corridors, and around crowded rooms with hundreds, if not thousands, of others. 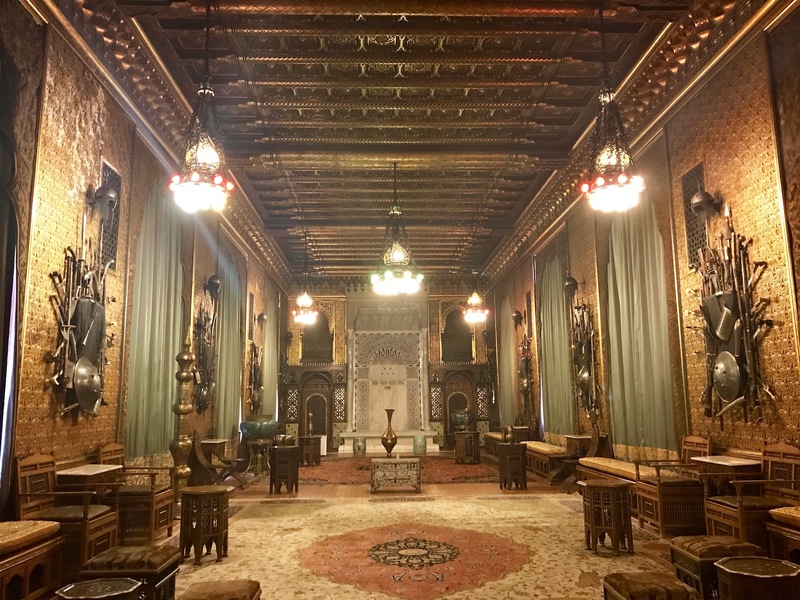 The castle was founded in the 14th century, but the recent renovations have left it looking completely overhauled, stark, and a bit too perfect. 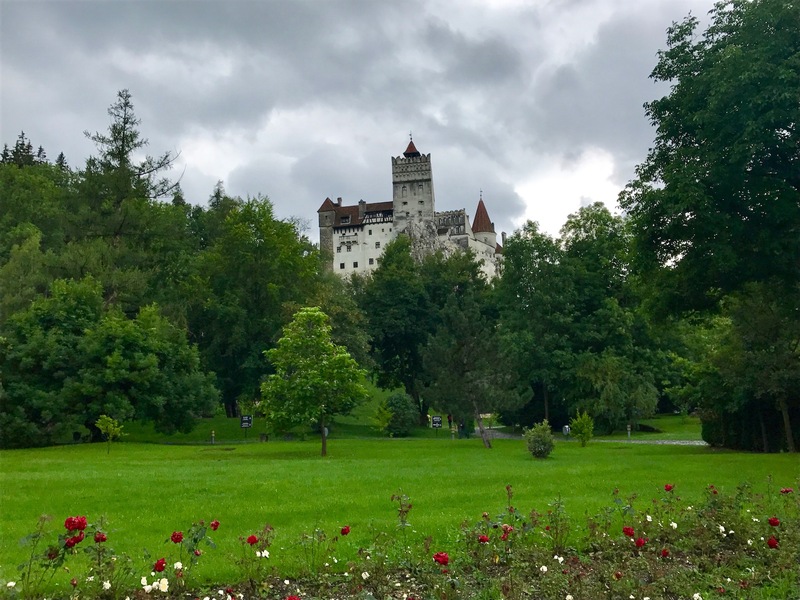 But let me set the record straight before I continue: Bran Castle is not in fact Dracula’s castle (and I do apologize if I’m shattering anyone’s lingering childhood convictions that Dracula was a real person…). It’s not Vlad the Impaler’s, either (if you’re trying to tie the fictional vampire to a real person). In the late 1800s, Bram Stoker sought inspiration for Dracula’s fortress and chose Bran. Vlad the Impaler did rule in the area, but was only connected to Dracula because his father’s name was Dracul. 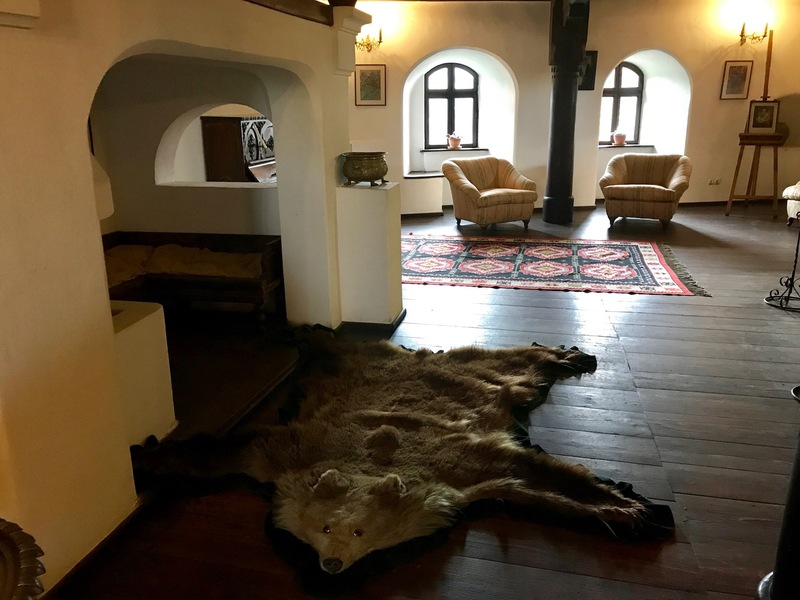 So, basically, we visited an old but heavily restored building tangled up in lots of mysterious (but mostly fictitious) folklore. 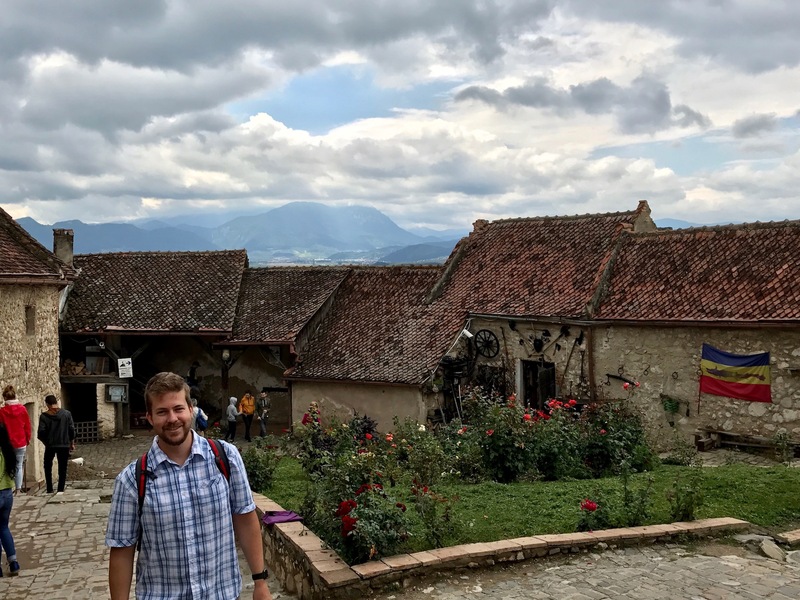 On our way back to Brasov, we passed through a small city called Rasnov. We had noticed a walled citadel up on a hill en route to Bran, and decided to investigate it. Turns out, it was built by Teutonic knights in the 14th century, was expanded by the Saxons (note the prominent architecture), and was finally abandoned in the 19th century. We hiked up a steep, cobblestone-paved road, past “Dino Parc” (Romania’s answer to Jurassic Park? ), and emerged in front of the large, stone walls. I felt like I was in a B movie about King Arthur. 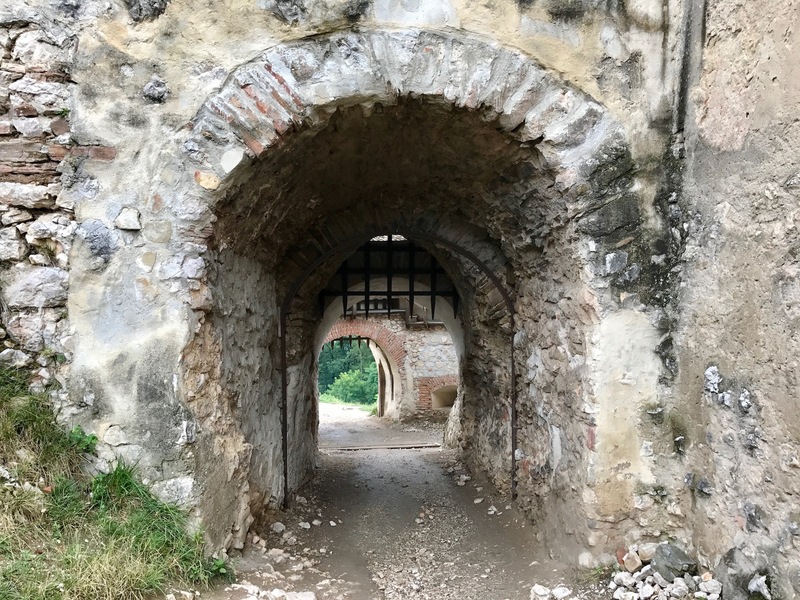 As we made our way up the steeply winding path, we passed under two heavily fortified stone gates before emerging into the ruins of the crumbling town. Tumbling stone walls were overgrown with blooming weeds, and a rocky outcrop jutted up above the rest. 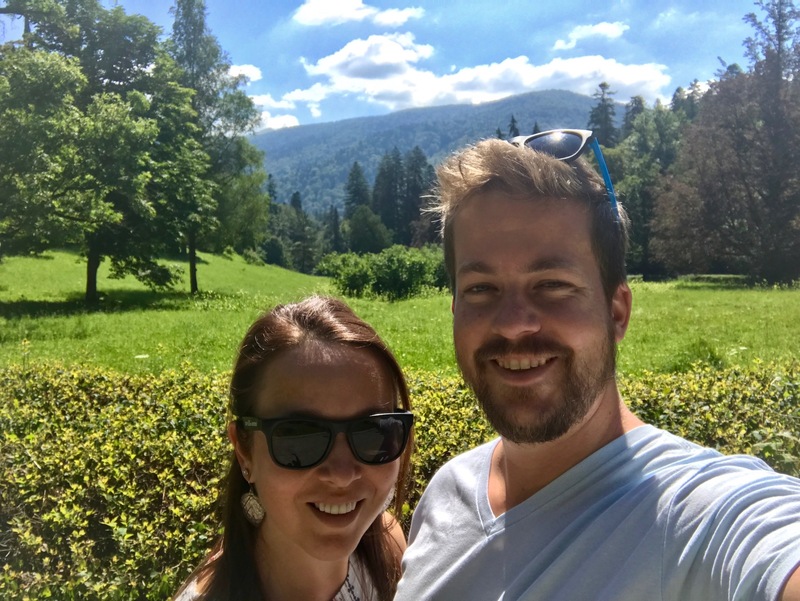 We made our way up to the small platform packed with other visitors and were rewarded with stunning views of the surrounding town, valley, and mountains. Various hawkers had set up shop inside reconstructed stone buildings and two young men tried their hands at hatchet throwing. We could almost picture the bustling little walled town in its heyday. Our epic weekend trip wrapped up with a visit to another, very different sort of castle. 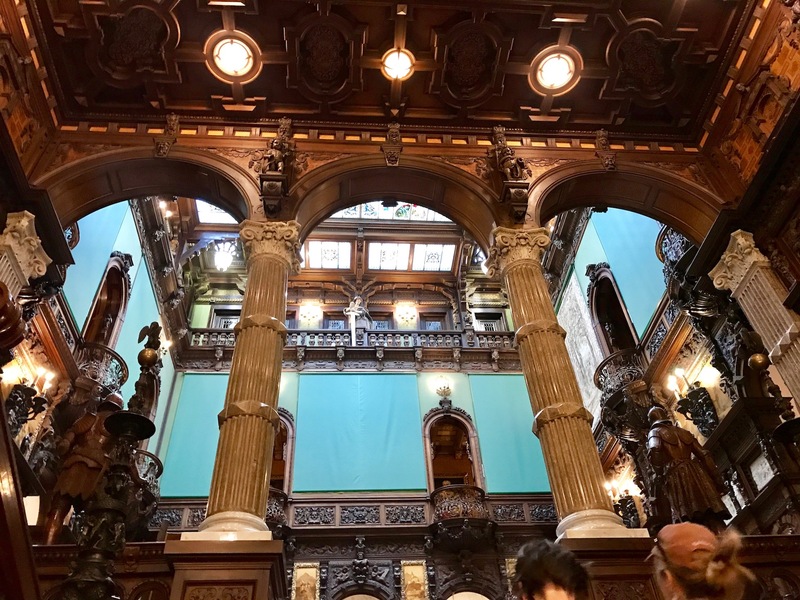 Planning a stop at a popular local monument on a Sunday in Romania turned out to be extremely foolish (read: crowded), but Peles Castle did not disappoint. 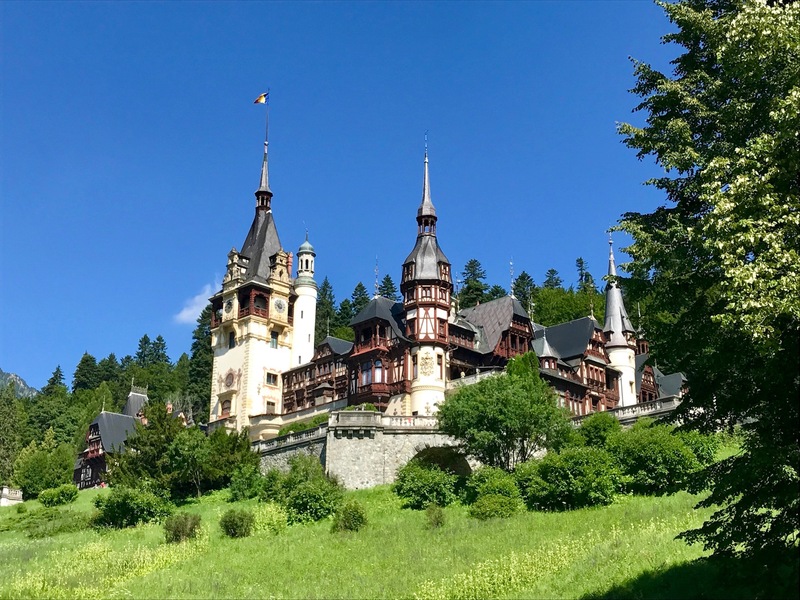 Formerly the summer home of Romania’s first king, Carol I, in the early 1900s, the fairytale-meets-Victorian-England-style palace rose up among massive fir trees and bright green, lush meadows. I’ve never seen more elaborately carved wood in such vast quantities in my entire life. Each room was decorated in a different style – one inspired by Versaille, another by the Venetians, a third by the Far East. This castle embodied the definition of luxury, elegance, and style. Although photos were forbidden without a pre-purchased permit (which we learned, mid-way through our compulsory tour, from a charming couple from Utah, of all places! ), we managed to snap a few shots. I simply can’t imagine a more beautiful setting for a summer home! Take it from us: if you visit Romania, plan to spend a long weekend in Transylvania. Or longer. And don’t limit yourself to Bran Castle, chasing Dracula. There are so many other incredible sights to see.